As an avid student of ballistics, I’m often asked what the difference is between the Critical Defense and Critical Duty lines of ammunition from Hornady. The similar sounding names help to establish these products as market siblings, but sometimes confuse the average buyer. That’s a problem, because these two lines of ammunition are designed to address very different needs, and a department purchasing agent or individual officer who’s considering them needs to understand how they’re different from each other. To start, we need to understand that in 1988 the FBI established a new protocol for testing law enforcement handgun ammunition that quickly became the industry standard, because it was so widely adopted as the yardstick for measuring bullet performance. The protocol is a series of six standardized tests, where bullets are fired into 10 percent ballistic gelatin, according to detailed procedures. In the first of those tests, the bullets are fired into a bare gelatin block, but in the remaining five tests, the bullets must pass through specified barriers before entering the blocks, including heavy clothing, steel, wallboard, plywood, and automobile glass. Properties such as penetration depth, recovered diameter, and retained weight are measured to compare bullets against each other, and against FBI-desired standards. FBI standards require ammunition designed for law enforcement is able to penetrate gel between 12 and 18 inches in each of the six tests, and the industry has responded with products that do. From an engineering standpoint, it’s a tough task to design a bullet that will perform all these jobs acceptably well, and some trade-offs are involved — you may wind up sacrificing performance on one test to ensure you’ll pass another. For example, if you want a bullet that can pass the difficult auto glass test, you might end up with a design that penetrates more deeply than desired in bare gelatin. The important thing to know about Hornady’s Critical Defense ammunition is that it was not designed to pass the full FBI protocol, because it was never envisioned as law enforcement-duty ammunition for service-size pistols. Instead, it was designed for defensive situations where no intermediate barrier (other than clothing) was involved, and it was assumed that it would be fired from compact carry guns with short barrels. Those short barrels rob velocity and decrease energy, which often leads to under-expansion and over-penetration in soft targets. They also increase muzzle flash, so the Hornady engineers had to address these concerns in the design of the product. Critical Defense is optimized for short barrel performance in the bare gelatin and heavy clothing stages of the FBI protocol, with an emphasis on avoiding over-penetration. This makes the ammunition useful to armed citizens for concealed carry and home defense and to law enforcement officers in situations where barriers are not a likely concern, such as off-duty carry, back up guns, and possibly some undercover operations. The Flex Tip eXpanding (FTX) bullet developed for Critical Defense ammunition looks like a traditional Jacketed Hollow Point (JHP) bullet whose cavity has been filled with a polymer plug. When the FTX bullet strikes a target, the polymer plug gets compressed and produces outward force on the inside walls of the cavity, which opens up the bullet for controlled expansion. An advantage of this kind of design is that the cavity is not susceptible to getting plugged with debris (such as clothing fibers) that might retard hydrostatic expansion of the bullet — a common issue with traditional, open-cavity JHPs. After the success of the Critical Defense bullet in the commercial market, Hornady turned their attention back toward the full FBI protocol and the development of a suitable law enforcement bullet that would excel in all the tests, including barriers. 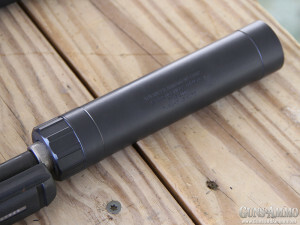 The result was the Critical Duty “FlexLock” bullet. The Critical Duty FlexLock bullet shares a similar external appearance with the Critical Defense FTX bullet due to the use of a similar, compressible plug in the nose cavity, but it’s a different bullet on the inside. To begin with, the bullet jacket is heavier to provide increased strength. Additionally, the heavier-for-caliber lead core is mechanically locked to the jacket by means of a tongue and groove type arrangement. As a result, the heavier bullet expands but maintains enough integrity to punch through tough barriers without the core and jacket separating from each other, as they often do in traditional “cup and core” designs. The result is a barrier-resistant bullet that still offers suitable expansion and penetration — an ideal match for duty conditions. 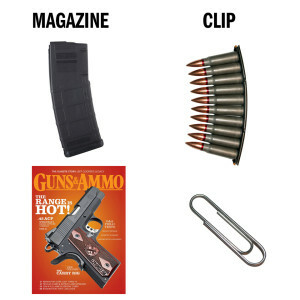 So, what we have here are two different bullets for two different tasks. You’ll need to choose the appropriate tool for the appropriate job. Critical Defense is for short barrel guns where barrier penetration is not important and reducing over-penetration risk is. Critical Duty is for LE missions where you would like a “barrier blind” bullet that will still expand and penetrate after punching through intermediate obstacles.